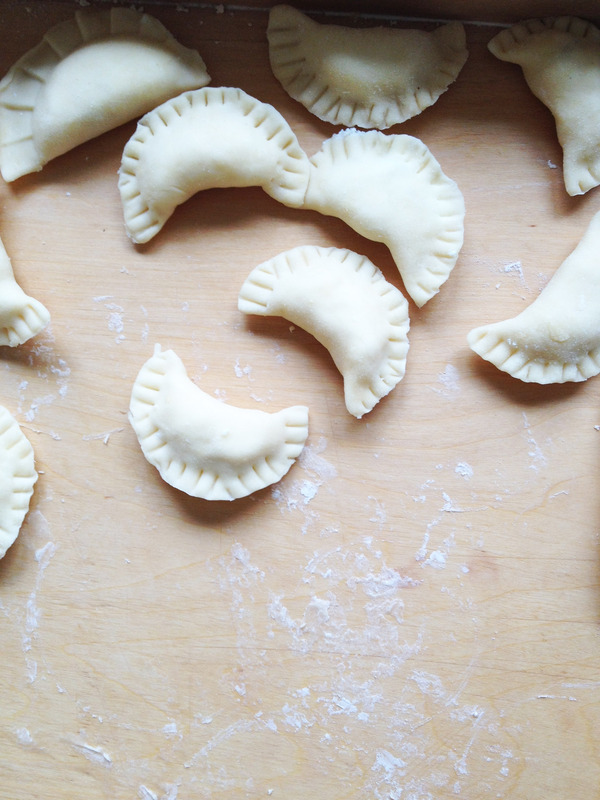 Needless to say, Pierogi is a quintessentially Polish dish which consists of little dumplings which are boiled and can be fried afterwards, usually with onions or bacon. Polish people love Pierogi and as there are so many Poles in the UK, you can buy these pre-made dumplings in almost every larger supermarket in the country. However, the dumplings found in stores simply don’t compare to those made by grandmother and mother. During a recent visit to Poland I decided to help my mum out when she was making Pierogi as it was high time I learnt how to make them. The most popular fillings include: sauerkraut, mushroom, meat, potato, cheese and seasonal fruit. 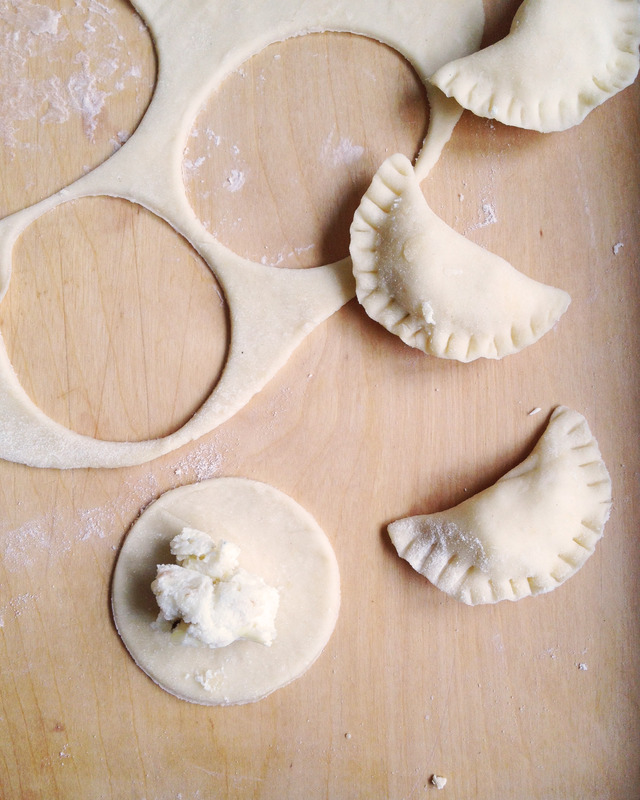 This time we made potato and cheese dumplings, traditionally called Ruskie (“Ruthenian”). 1.Boil potatoes and mash until smooth. 2.Heat the butter, add onions and cook until soft. 3.Add farmer’s cottage cheese and cooked onions to potatoes. 4.Season with salt and pepper and mix until well combined. 1.Sift the flour on a pastry board. 2.Dissolve salt in water and gradually pour onto the flour all the time kneading the dough. 3.The dough should have soft and flexible texture. 4.Put the dough into a bowl and cover with a cloth and chill in the fridge for 30min. 5.Move the dough to the pastry board and knead for 2 more minutes and then divide into 2 parts. 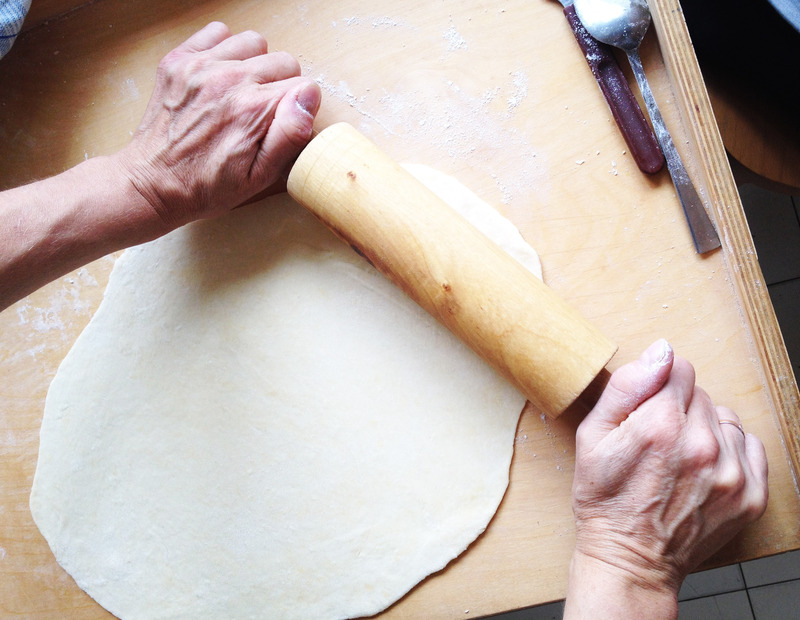 6.Roll out each half to 2-3mm thickness- remember to sprinkle the board and rolling pin with some flour. 7.Cut into rounds using a glass. 1.Place a small spoonful of the potato and cheese filling into the centre of each circle- fold over the edges and press together with a fork to seal. 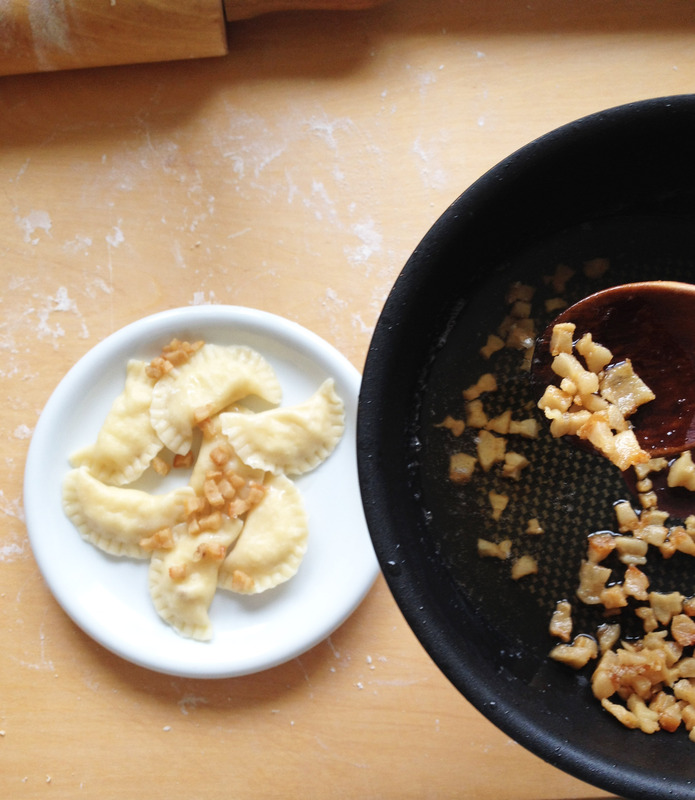 2.Cook the Pierogi in the large pot of slightly salted boiling water- remove with a spoon when they float on the top. You can eat them boiled or pan fried. 3.Serve with pan fried bacon fat or caramelised onions.